College students, Woman’s Home Companion, October 1936. Many years ago, I finally had time to take a life drawing class. During a break, the woman next to me introduced herself. She was a psychologist. When I told her I was a costume designer, she shared this story — one that taught her the importance of dress, and how much it communicates. When she was completing her post-graduate degree, starting to look for jobs, she was also asked to do group counseling with high school students who were having behavior problems. As it happened, on the day of her first group session with the students she also had a very important job interview. She dressed in her best (and only) suit, with high heels she would never have worn on campus for a usual day; she got up early to do makeup and style her hair (instead of pulling it back into her usual “no-time-to-do-my hair” ponytail,) and she carried a briefcase instead of her backpack. She wanted to look as grown-up and professional as possible for the job interview. Two dressy suits made from Butterick 7928, October 1956, Butterick Fashion News. She went straight from the interview to her first session with the high school students. It went really well. She felt that they were glad to participate and have a chance to get help with their problems. A week later, she went straight from attending her own university classes to the high school. That session did not go so well. The students didn’t volunteer or participate as they had. They became quiet, sullen, obviously bored. Every week, every session felt worse. The students who had been so eager were almost hostile now. The young psychologist stayed up nights trying to figure out how to get the group sessions back to that promising first day. “Oh, dear god,” thought the young psychologist. It hadn’t occurred to her that dressing as what she really was — a graduate student in college — would send that signal to them. She realized that being dressed formally had given her extra authority, and built confidence that she was really a doctor. But she hadn’t considered the reverse. She had never thought to carefully explain her real status: she was a student, like them; poor, like them. And being honest months later — “I really needed that job, so I tried to look professional and grown-up for the interview” — didn’t help, because it still meant she hadn’t thought it was equally important to dress professionally for them — clients who didn’t pay. It’s a sad story that has stuck with me all these years. The shaman’s feathers and paint, the doctor’s white coat, the banker’s suit: clothes establish our identity. Whatever we wear tells other people something about who we are, what they can expect from us, and how we expect to be treated. 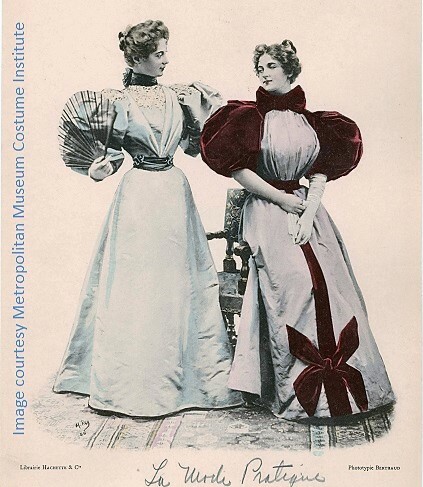 Like it or not, costume communicates. Doctor, nurse, and baby in an ad from 1937. Delineator. We know at a glance that this is not a family; and we know these people are trying to help the baby — because we can “read” their clothes, without any conscious thought about what is going on here. We read each other all the time. Left, overalls to wear on the beach — Butterick 3184, Delineator, June 1930. These beach overalls deserve a blog post of their own. This editorial illustration from March 1932 shows a similar but not identical beach outfit. (These have a hip yoke.) Delineator. Illustrated by Leslie Saalburg. The front view is shown at left. 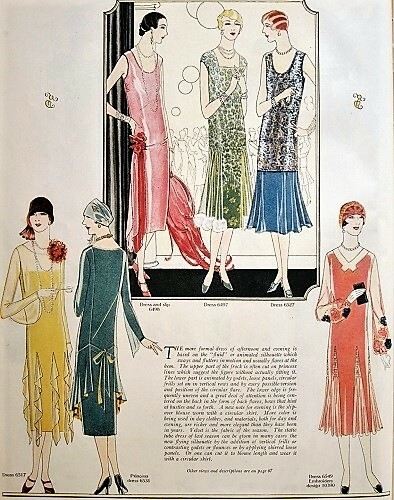 Butterick 3184, 1930. Note the three [?] bust darts. The back is low to match the evening clothes of the 1930s — but that big “X” where you weren’t tanned would not be lovely. Ladies’ Home Journal cover, February 1936. 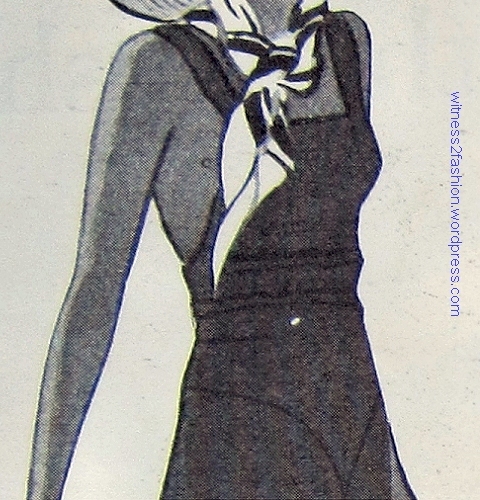 Wide legged overalls seen in an ad, Delineator, June, 1932. 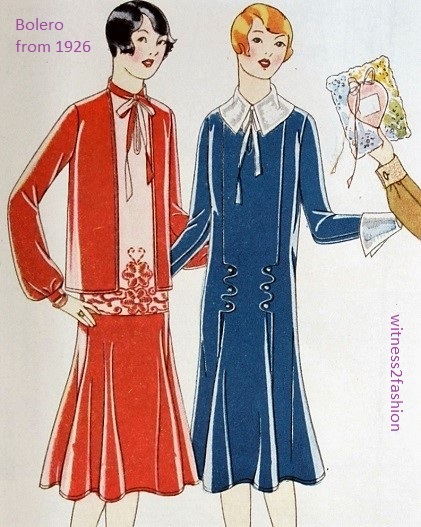 Very wide-legged pajamas were also popular in 1931. See The Fascinating Pajama 1931. Butterick bolero pattern 7459, from July 1937. Woman’s Home Companion. When I went looking for 1930’s boleros, I found that I had many more images of them than I realized! (Part 1) (Part 2) (Part 3) What started as one post turned into four — so far. And I am limited to the images I happen to have photographed from Delineator Magazine, Ladies’ Home Journal, Woman’s Home Companion and various store flyers from a few pattern companies. A “youthful” bolero from Butterick, Delineator, April 1929. A Butterick bolero outfit from August 1929. Butterick 2749, from Delineator magazine. As waists rose, boleros began to get shorter. 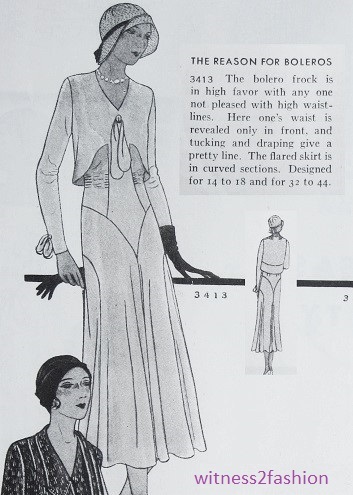 Bolero outfit from October, 1931. Butterick 4122. Illustrated in Delineator magazine. 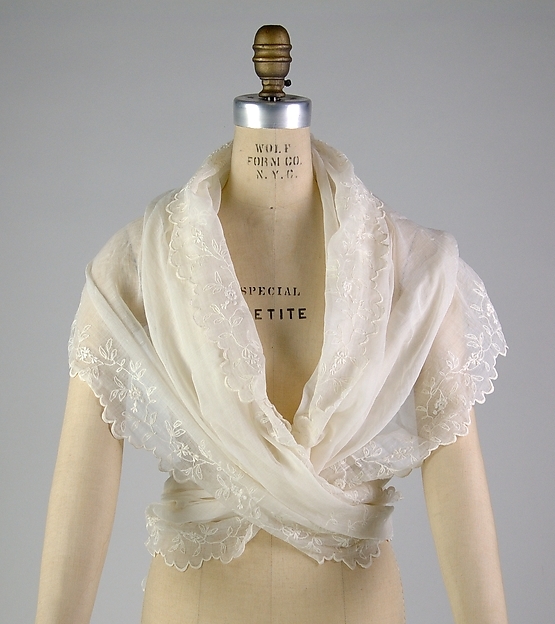 This bolero covers a sheer, lace bodice. WHC, March 1937. As a way to stretch your wardrobe with very little money, boleros in different colors could be worn over most dresses. 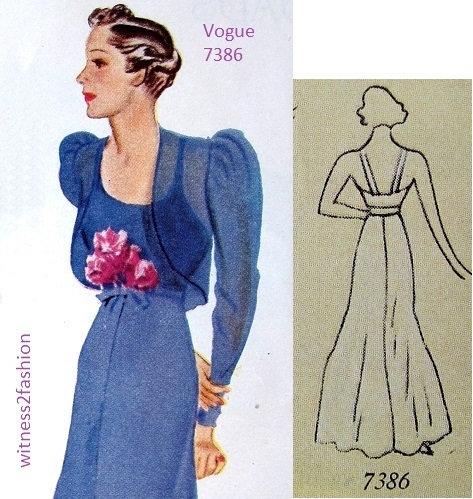 This set of inexpensive additions is Vogue pattern 7250, from Ladies’ Home Journal, February 1936. Simplicity offered this bolero pattern, (along with other accessories) in a store flyer, August 1939. Simplicity accessory pattern 3155. This bolero covers a low-backed sundress; Companion-Butterick pattern 7296, WHC , April 1937. The bows are part of the dress, not the jacket. Butterick pattern 7303 from WHC, April 1937. Companion-Butterick jacket dress pattern 7359; Woman’s Home Companion, May 1937. Companion-Butterick pattern 7459 would make three different jackets — or the same jacket in several colors. July 1937. Economy wardrobe: A jacket took less fabric than a dress, and jackets could be worn with several dresses, if you coordinated carefully. Elsa Schiaparelli was credited with popularizing the bolero in the 1930s. She was still using them in fabulous ways in 1940. And “The beer jacket in denim is still headline material [! ]” Beer jacket? Apparently a “college craze” ( click here ) which, in this case, extended to women students. You could make four different jackets from Butterick 7804 — including a “beer jacket” and the fitted, zipper-front jacket at bottom right. Zippers were already common in sportswear, but 1937-38 was the year they began to be featured in dressier clothing for women. Butterick 7803, from a BFN flyer, April 1938. Boleros were definitely getting shorter. Butterick 7788 has a very brief bolero. BFN flyer, April 1938. Triangular pockets are a couture touch. A very high-style bolero, Butterick 8805 from August, 1938. Butterick Fashion News. 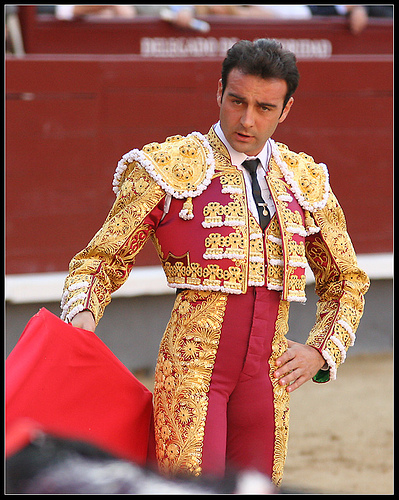 Next to it is a variation of the tied bolero, here called a bloused jacket — the line between “bolero” and “jacket”becomes blurred. You may have noticed that sleeve heads got puffier, and then shoulders got wider, as the Thirties progressed. Three jackets from Butterick pattern 8367; BFN, May 1939. These jackets require shoulder pads. In May, 1939, we probably can’t attribute the shorter skirts to wartime regulations. Right, a wide-shouldered, rather matronly bolero outfit. Butterick 8472 from BFN flyer, July 1939. This wide-shouldered, cropped jacket with frog closings is Simplicity 3203, from October 1939. Only its length says “bolero” to me. Those horizontal darts (or tucks) in the sleeve head exaggerate shoulder width even more. A very “late Thirties” detail. 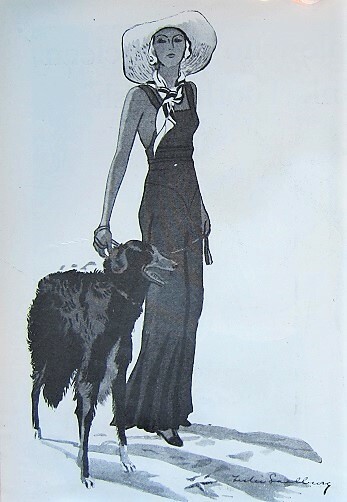 A bolero jacket tops an evening gown, center, in this editorial illustration by Leslie Saalburg, Delineator, November 1931. 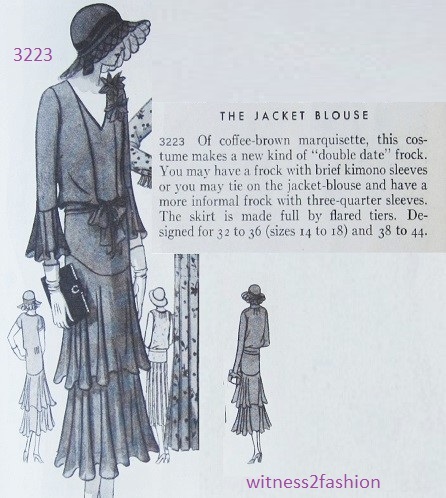 The Nineteen Thirties’ bolero was often used with evening wear…. [But boleros continued to be a daytime option, too.] If not actually used as a separate jacket, a bolero might be suggested…. Left, Butterick 4093 from October 1931; right, a vintage dress circa 1929 -31 has the same bolero effect built into its bodice. A bolero built into the dress contrasts with the slender hips and belted waist. Butterick 3696 from Delineator, February 1931. This pattern for a tied bolero reminded me of a vintage tied jacket (not a bolero) that I also love. Right, a bolero for evening is tied at the waist. (Usually, but not always, daytime boleros were tied near their neckline.) Butterick 3460, Delineator, October 1930. Although this vintage velvet jacket is hip-length, not a bolero, the tie at the waist has the same effect. Vintage 1930s evening jacket with front-waist tie and dolman sleeves. The sleeves taper from very full to tight at the lower arm. Another glamorous, but simple, waist-length evening jacket. 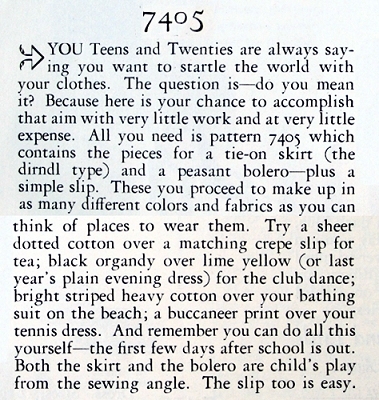 Butterick 4076 from September 1931. Delineator. Bolero illustrated for a fashion column, Delineator, April 1933. In 1936, boleros over evening gowns added versatility to the fashions, which could be worn with or without the jacket, creating two different looks. A bolero with a long, twisted tie changes this evening gown from daringly bare (left) to chic but modest; the covered-up look was suitable for dinner and night-clubs. Vogue 7507, from Ladies’ Home Journal, November 1936. A white gown could be “dressed down” for dinner by a colorful bolero jacket. LHJ, July 1936. This gown in soft silk or chiffon with printed green organza [or some other fairly stiff fabric] has a low back, covered on a cruise ship by a hooded bolero. Convenient for moments when you step out onto the deck in the moonlight. 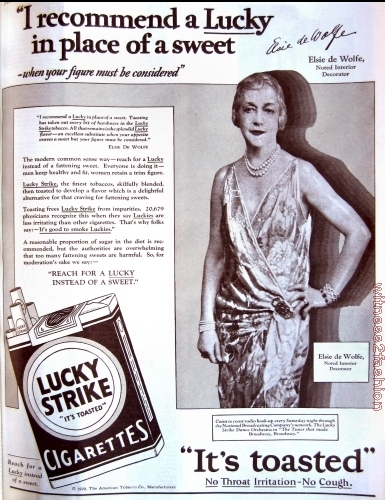 LHJ, February 1936. Another article on cruise wear also emphasized the bolero jacket — by packing several boleros, you only needed to pack one long evening gown. Butterick 7407 shows a halter dress in sheer blue printed fabric — topped with a white bolero. Woman’s Home Companion, June 1937. From a fashion editorial describing a Companion-Butterick cruise wardrobe. WHC, June 1937. Vogue 7403, 7369, and 7386. LHJ, July 1936. A corsage doesn’t have to be worn on the shoulder…. Click here for a closer view of the bolero. Right, a dignified lace dress with matching bolero; Butterick 7998 from 1938. Butterick Fashion News flyer. That lace gown is probably for mature women, since the size range is 34 to 52 inches (bust.) But evening gowns for teens also showed them with bolero tops. A bolero tops a prom dress; WHC, May 1937. A long dance dress for teens, with bolero jacket. Butterick 7354. This reminds me that wedding dresses for church ceremonies — and prom dresses in conservative schools — could not reveal bare arms (at Roman Catholic weddings) or have strapless tops or “spaghetti straps” as late as the 1960s, so this jacket would satisfy the chaperones. A girl could take it off when she was alone with her date…. Butterick evening gowns, August 1938 pattern flyer. Butterick 8004, left, and Butterick 7997, right, with removable bolero top. The bodice of 8004 (“molded to slim your waist”) has a sort of false bolero effect, being larger than the gown below it. Another bolero with coordinating evening gown, left, Butterick 8461, from July 1939. BFN. 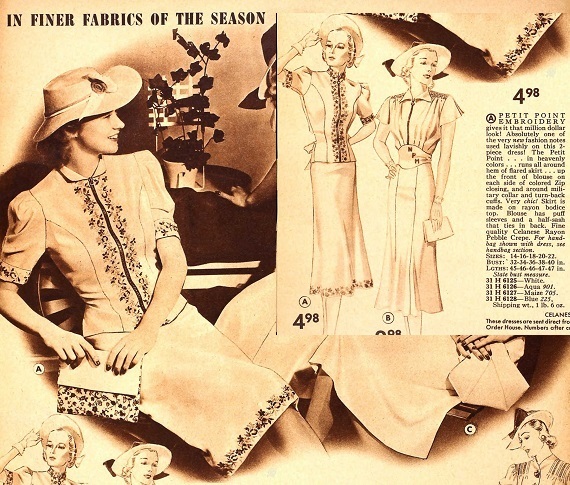 However, older women might also buy a pattern that included the versatile bolero in 1939. Right, Vogue 4128, Vogue Fashion Flyer for May 1939. Designer Lucile Paray was featured in an article about Paris fashion revivals (i.e., “retro-inspired) — like leg-o-mutton or “Directoire” sleeves — in 1937. Paray’s evening suit was inspired by the turn of the century garment (with bolero) illustrated beside it. Lucile Paray designer evening suit; illustrated for Woman’s Home Companion, December 1937. Butterick 7405, an evening ensemble with bolero jacket, Woman’s Home Companion, June 1937. Meanwhile, bolero jackets for daytime use were also seen throughout the Thirties. In fact, Butterick 7405 had many casual and sporty variations for daytime! Boleros were not just for evening wear in the 1930s. Click here for more about 7405.